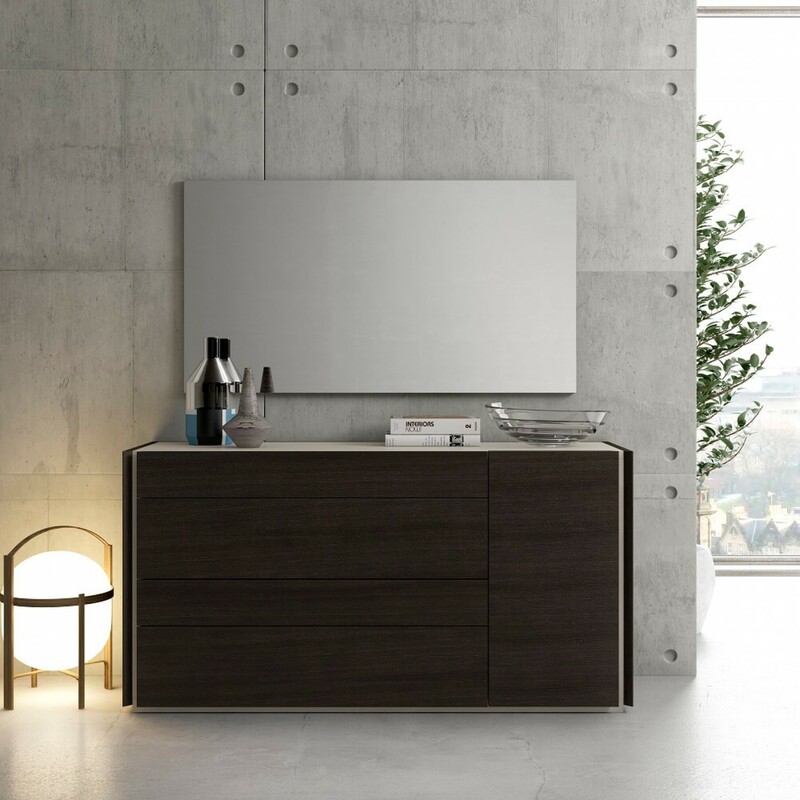 W113" x D82.3" x H39.4"
W129" x D82.3" x H39.4"
The Porto premium bedroom features an elegant design beautifully mixing a natural White lacquer finish which looks striking against the natural Wenge wood veneer. 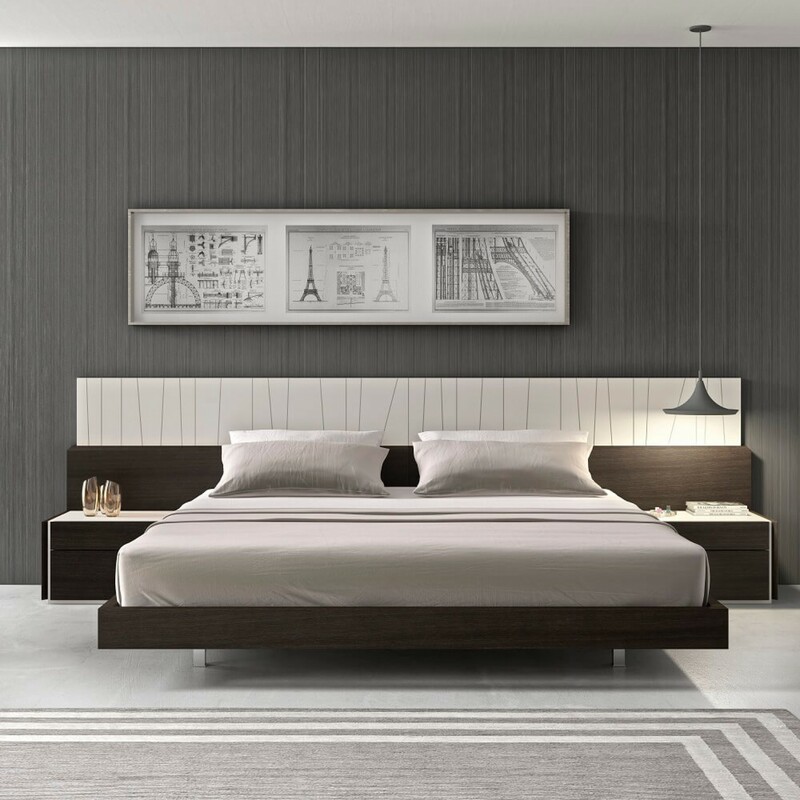 The headboard shows off uniquely carved diagonal lines which look spectacular when the built in LED lights featuring a dimmer function are on. The interplay of wenge with light grey continues in the night stands, chest, and dresser.